Ealing Council officers and police will be carrying out joint patrols during the run up to Bonfire Night and Diwali and taking action against irresponsible traders. 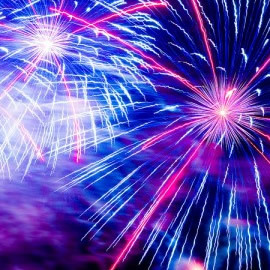 Council officers will be checking that traders are storing their fireworks safely and only selling them to people over the age of 18. Shops caught selling fireworks to children could be fined up to £5,000. They will also be clamping down on anyone caught selling illegal fireworks or category four products, which are meant only for public displays. Residents are being reminded that it is an offence to use fireworks between the hours of 11pm – 7am except on designated nights. On Friday, 5 November residents will be allowed to light fireworks until 1am to celebrate Bonfire Night and Diwali. Light fireworks at arm’s length, using a taper. Do not put fireworks in your pockets. Keep fireworks in a closed box in a safe place. Read instructions with a torch, never a naked flame. Children using sparklers should be supervised at all times. Pet owners are being reminded to keep their animals inside the house to avoid them getting distressed or injured. To report a trader who is breaking the law and selling fireworks to children, contact Ealing Trading Standards on 020 8825 6888 or email tradingstandards@ealing.gov.uk. To report the misuse of fireworks, call the police. In an emergency call 999.